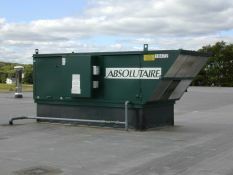 AbsolutAire provides a wide range of direct and indirect -fired, customer-driven solutions that offer simplicity, economy, and versatility for meeting both make-up air and space heating and ventilating requirements in light industrial applications. 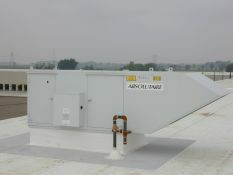 Air turnover systems work well in facilities that have minimal exhaust air; the use of clean return air coupled with a small amount of outside air heats the space with little energy consumption. Variable air volume systems are a good fit for those applications with a high level of exhaust air, as these systems provide precise amounts of fresh make-up air when stale building air is exhausted. These systems are also available in upright or horizontal configurations, for indoor or outdoor mounting, providing maximum versatility when space inside the building is an issue.